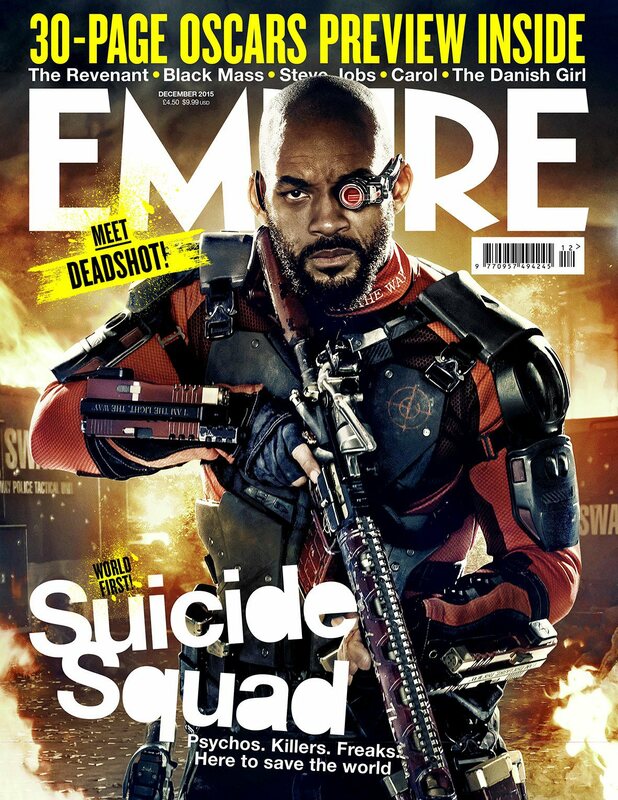 So, Empire has just released new cover and set images for the upcoming villain-based DC Comics film, Suicide Squad. 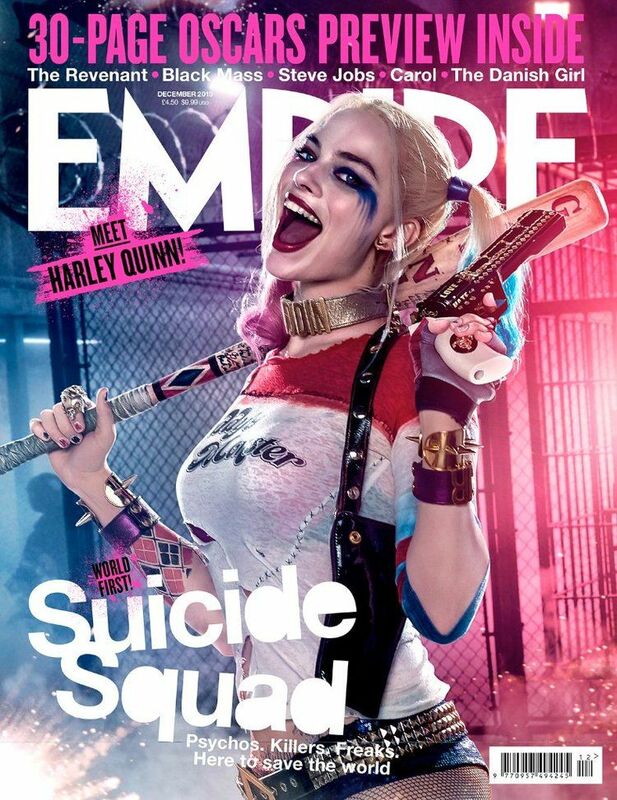 In the British magazine, the covers display a better look at the Joker (Jared Leto), Enchantress (Cara Delevingne), Harley Quinn (Margot Robbie), and Deadshot (Will Smith). There are also high quality images of Katana (Karen Fukuhara), Killer Croc (Adewale Akinnuoye-Agbaje), Boomerang (Jai Courtney), El Diablo (Jay Hernandez), Slipnot (Adam Beach), Rick Flagg (Joel Kinnaman), and Amanda Waller (Viola Davis). Now, what director David Ayer is looks pretty cool, I have issues with how he is portraying some of the female characters. So, I do not have any issues with what most of the male characters look like. I should comment on the looks of Killer Croc and El Diablo look really cool and practical, especially when dealing with these unknown, outlandish characters. This can also be said for Deadshot, Boomerang, and Slipnot, who have a mercenary/thug vibe to them. 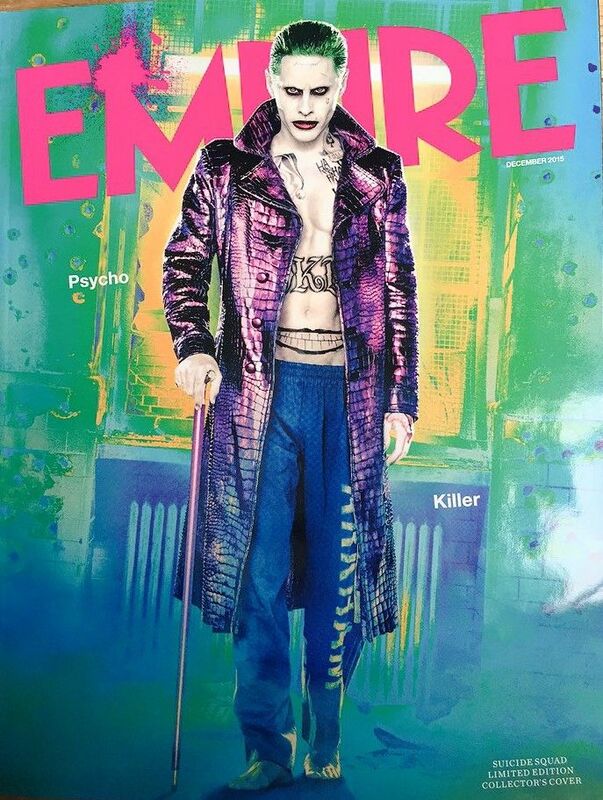 However, the Joker is a bit much, with the purple alligator coat and gym pants. 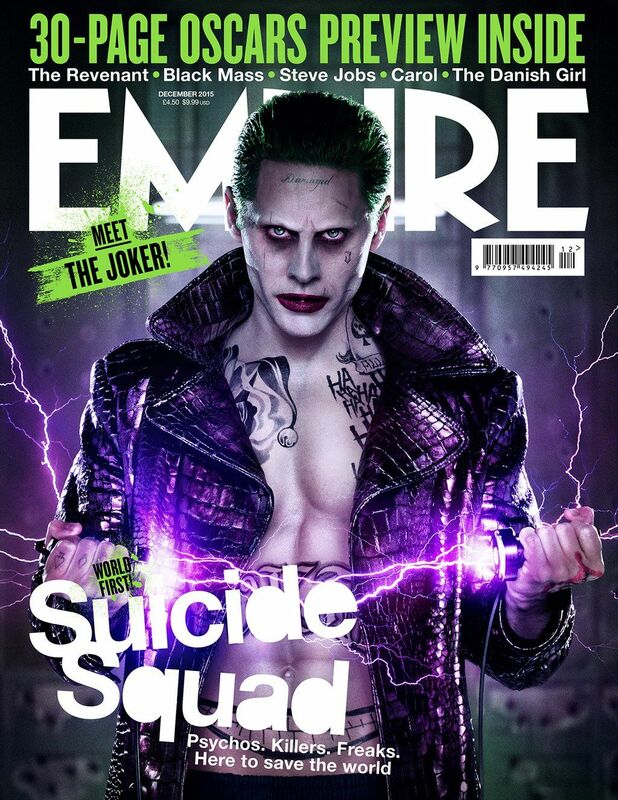 I just do not get a Joker vibe from Leto’s interpretation. He just looks like a gang leader, especially with those tattoos. Meanwhile, I feel like the women of this film are overly sexualized. The Enchantress, in a bikini, it’s just impractical. Granted, the markup, headpiece, and grimy tone are great, but just having her in just that is just off putting. Katana is good, except for the fact that her shirt cuts off at her belly button. There is no reason why she has to have that. This character is an assassin who probably needs the best protection when dealing with an enemy. 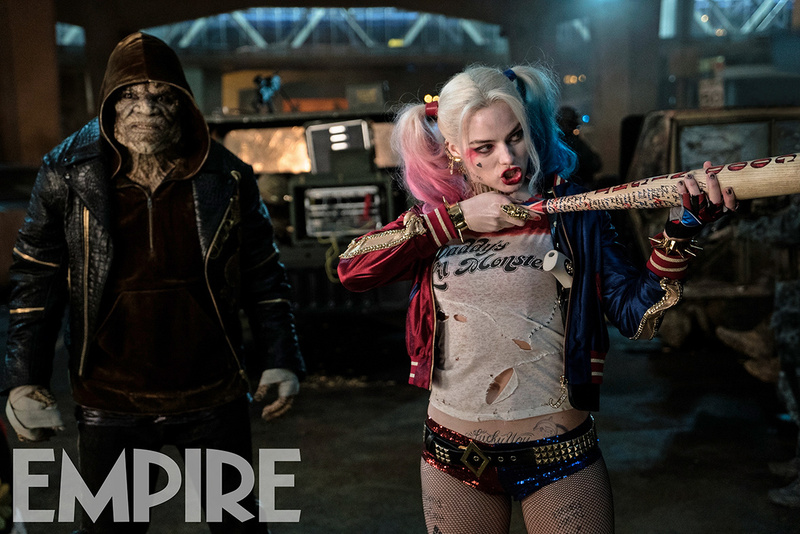 However, I can say that Harley Quinn’s costume does make sense, as her character in the comics is known for wearing skimpy clothes with the Joker, on missions with the Suicide Squad, and in her own comic. Hopefully I am wrong and Enchantress and Katana’s costume do make sense. 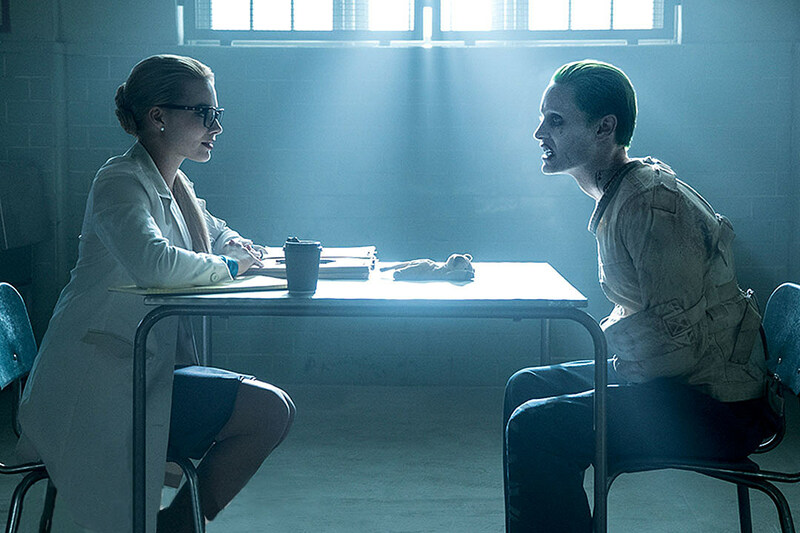 Suicide Squad is set to release August 5, 2016.